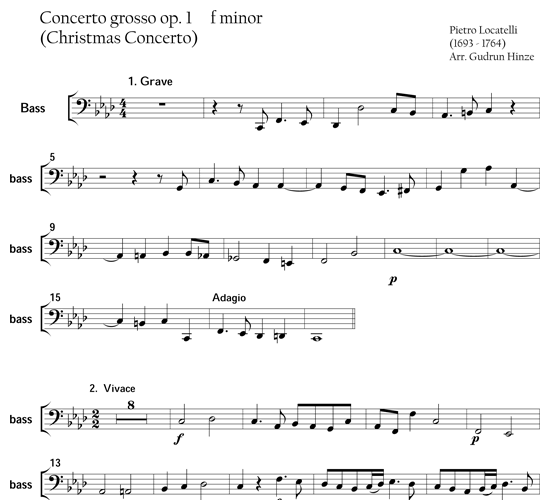 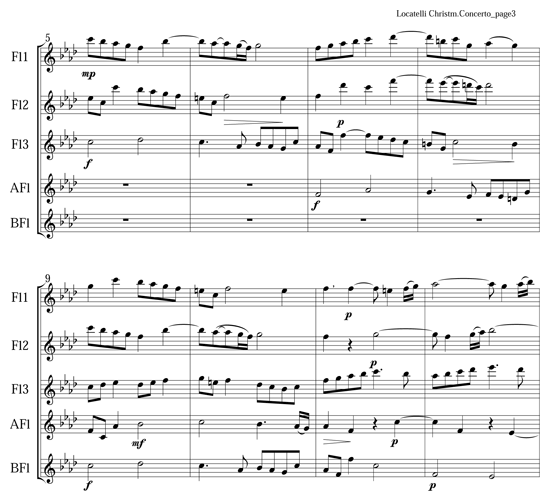 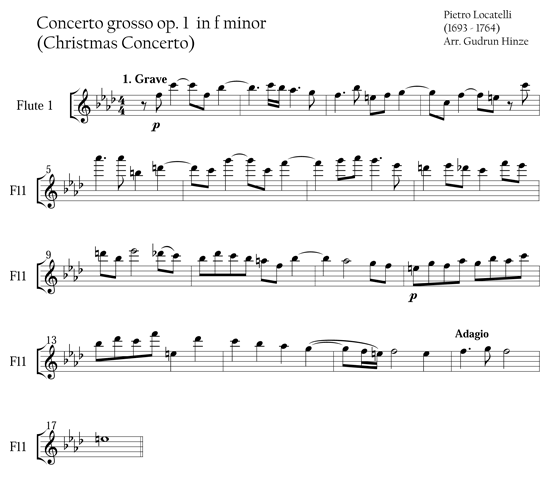 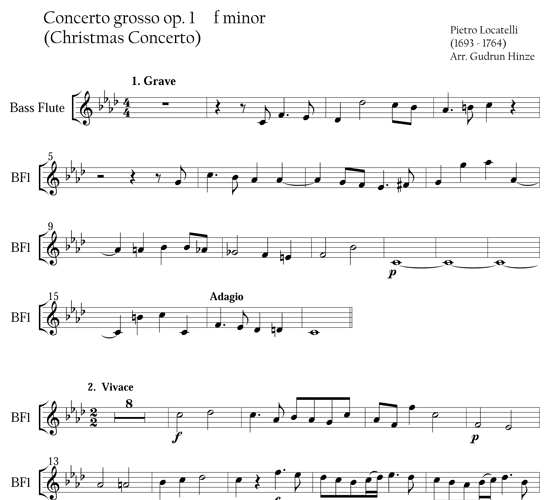 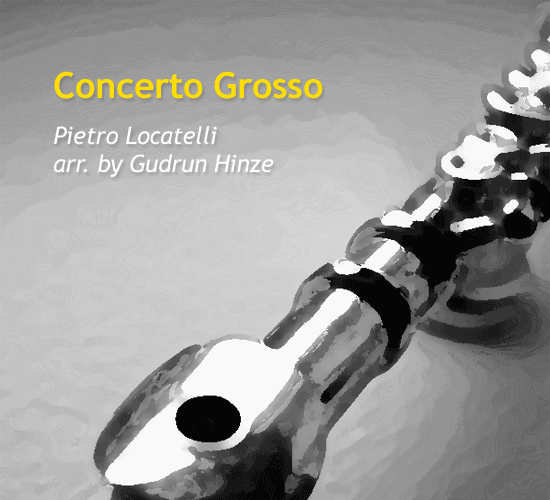 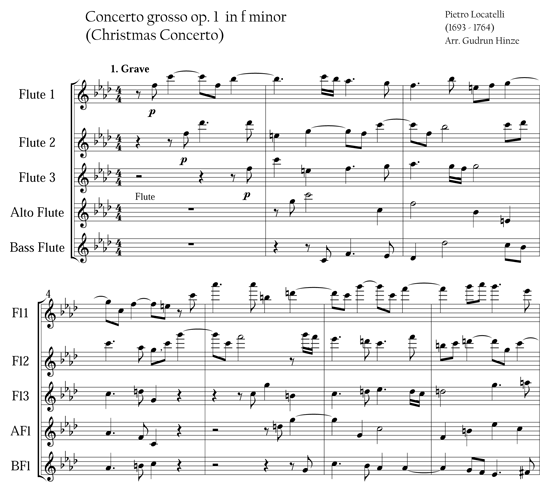 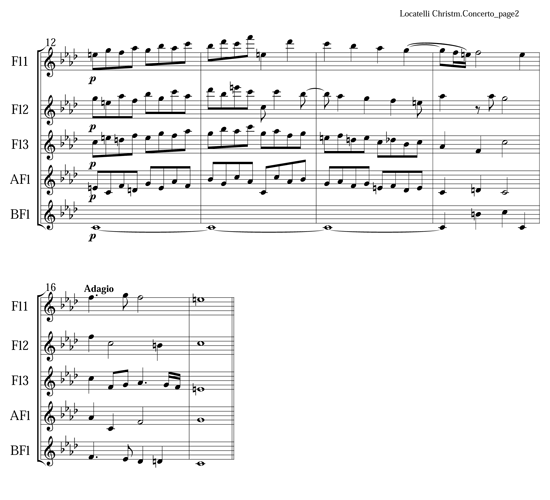 Locatelli's Concerto Grosso follows the example of Arcangelo Corelli's composition of the same name. 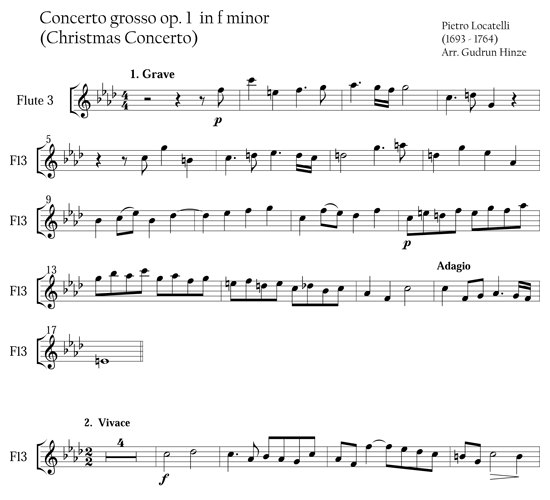 Here he have four movements that include a “Grave” that is mournful, a “Vivace” that is an energetic fugue, and two very different “Andante” movements – one classy and courtly, the other walking and lively. 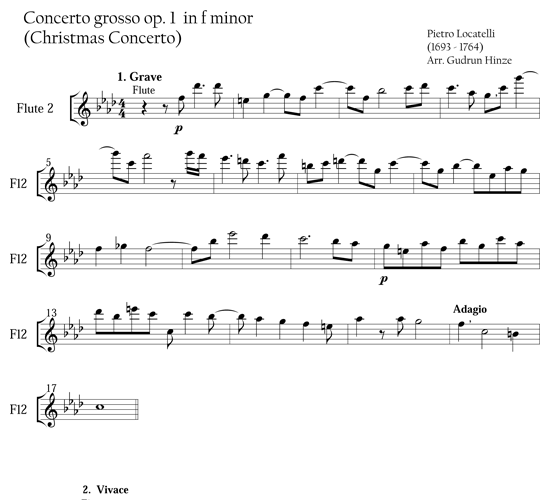 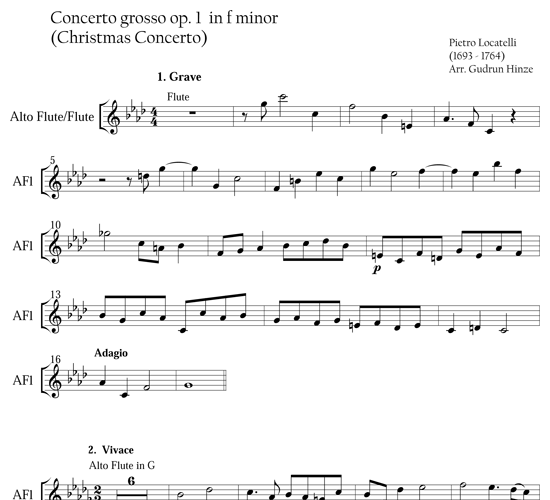 Providing an option beyond performing this with five flutes, a bass clef part is included for cello or bassoon.